This blog is geared at developing an advanced understanding of Walt Disney and Pixar animation history and related research pertaining to their employee contributions. So like everyone else I've had time to read the reviews of the film The Good Dinosaur, and a lot has been said and a lot has not. My favorites being Charlie Jane Anders synopsized on io9, Which is why I've decided to do my write up even with the less than stellar second-week numbers landing today. I feel the fact that we can discuss any part of our likes and dislikes; is a plus for the film. Yes, I too see segments where the film could have explored a bit further in the story development. What seems to be the biggest contributor to the conversations that I've had with people about the film itself, is the "what if..." question. I feel the public knowledge that the movie was switching directors in the middle of production has jaded viewers to seek out why such an action happened, and the only method of quantifying our assumptions is visual. I immediately thought of Brave, when I saw The Good Dinosaur for the first time. In my review of Brave after multiple viewings is that Mark Andrews should have been given 100% creative control in fleshing out his ideas for the film. Instead, we see a disconnect of the sort within the movie segments of Brenda Chapman's. Both directors have different sensibilities, so of course the feel would shift a bit, which I expect. In no way am I saying that he didn't have that freedom, it is just you can see Mark's personality in particular scenes and the lack of it in others? I felt that Brave targeted audience needed to be 13+ age range, similar to how Laika Studios marketed Paranorman, it t would have been an excellent move into attracting older viewers while still staying true the Pixar magic of storytelling coupled with the legacy of the Disney Studios retelling of fantasy. Think of Ridley Scotts Legend with its PG rating. The film is dark and foreboding, whimsical, but obvious the idea was to market it for all ages. The reason I bring up Legend along with Brave is due to how all three films deal with the dark subject matter. And judging by the numerous reviews online from parents who felt their children may have been scared for life (Google "parent reviews of The Good Dinosaur, to see what I'm talking about), the film has opened a discussion far larger than weekly numbers, in my opinion. The conversation now looks to be shifting towards when is Pixar going to continue to grow, within the stories they tell? Hope may be on the way with Pixar's CoCo, knowing Lee Unkrich's love of Kubrick, and his willingness to push the envelope of emotions (the incinerator in Toy Story 3 that James Robertson storyboarded out for the scene). Either way I pretty sure these are conversations that have been, and will continue to be had during the BrainTrust sessions at the studio. Viewers need to understand that each film is going to be different based on the director. Pete Sohn has showcased only a portion of his vision in this movie, mainly because like Mark on Brave he had to keep in consideration what creative energy, time and efforts had already been given to the show beforehand. But, as an outsider, we don't have access to the progression of the film through the stages of the pipeline, so we will never actually know where things took a turn for the original director. The BrainTrust consist of Hollywoods best researchers and technicians, so I feel what I've mentioned beforehand only applies to my vision of the films direction. Pauline Kael, spoke of self-analysis in movies and the reason we watch film and how we should continue to express our love for quality films rather than using loose generalizations of how it doesn't meet some threshold in comparison to other films. When in fact a lot of creative work, effort and time went into giving us something to discuss even after viewing. After the second, third and now fourth viewing the film begins to read more about the ways in which actions are at times controlled, and not at others. Arlo, in my opinion, appears to be surf urging from a disability, which the audience can label as fear, angst, or for the matter a physical handicap. It's also interesting how the camera moves placing us at times as Arlo's POV or others his caretaker. The reason I say Arlo's is dealing with a physical disability is many to seeing how my stepbrother and his wife treat my nephew, who has an issue with his leg; which restricts his abilities to do the everyday tasks of your typical four-year-old. Rather than aiding him in understanding his disability, they act as if there is no challenge he faces. With last week's passing of John Culhane last Monday, it got me thinking about the future of the animation historian. I figured we would cover the subject of his death in my weekly history of animation course. Instead, the topic wasn't even given light; even with me bring it up to my peers. However, I was able to touch on the subject in my Performativity course with John Rapko, and he incorporated my question/concerns into his lecture that day on Tzachi Zamir's views on Staging Objects. This news prompted me to contact one of the best-known historians in the field of animation, John Canemaker. John's best known as "the Dean" of animation historians for his in-depth method of placing the reader on the historical content of the subject matter, without removing one's attention from the topic. I didn't have anything in particular to ask Mr. Canemaker other than how do I do what you do? Which may seem like a particular question at first suggestion, however, the just of such a statement was as sincere I could be at that moment. Honestly, I had little hope or expectations that he would respond. After a long weekend, it was nice to open my email and see this response. So, here's his suggestions. I hope this entry helps other animation students looking to document their experiences. Working on interviews with Tom Sito of USC and Don Hahn Of Disney, on their methods of becoming an animation historian. Well, let me just say 2015 was a very fulfilling fruitful adventure into the unknown. From the move from Chapel Hill, driving seventeen hours to Dallas to spend Christmas with my wife and children, to taking a forty-three-hour train ride to end up in Oakland; life has been a varied experience of ups and downs. However, the decision to attend CCA has been well worth all the downs of being alone in a new environment. There has been no shortage of hands being extended for helping me establish a presence within the community, sans missing out on what appeared to be a three-week story session held by my college in conjunction with Pixar. This session focused on story development and storyboarding, geared towards a group of 15-20 Chinese animation students and 4-5 CCA Juniors. From my interviews those selected through the school were chosen based on their Junior project review. Further insight into the sessions program was not shared with me due to privacy. To the department credit, it did put together a great workshop for those students around for the summer highlighting key elements to story development, hosted by Jo Rivers. It was exciting to participate in the nightly lectures from the Pixarians who came to share their knowledge with we emerging animation students. One takeaway from the three-week series of talks was no one was documenting this moment in history. With the lurking discussion of the Oakland campus possibly closing within the next three to four, it would have been nice to have a record of the strives that the animation department took to enhance students education. Which is why I took it upon myself to utilize the skills I learned intern reporting at WUNC/NPR to get that moment archived. Below is a list of speakers I meet over the year and topics covered in their lectures. Yes, I know! Disney did not create this film, but it did have some help from Pixar. The Oscar Nominated Short Film The Dam Keeper is a look at what can be if given the resources and time to look at what could be. The films fantastic approach to storytelling is right in line with the literary classics that I use to read to my daughter, filled with visual atmospherics that stimulated me to pause the video with every scene change. 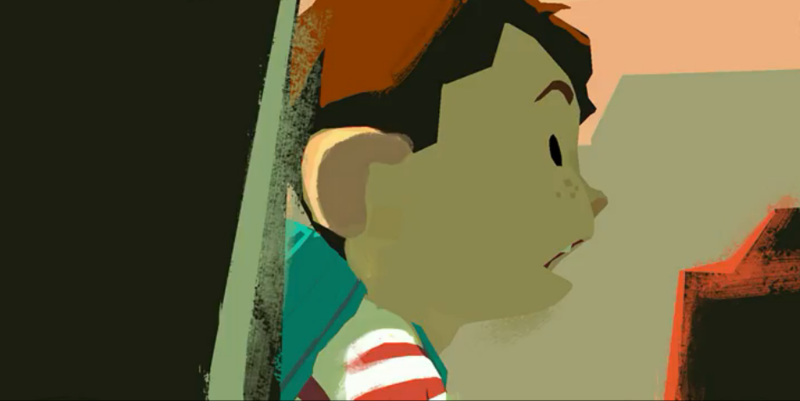 This exercise timed out to just a little over 18 minutes; the film reads more like an introduction into the world that Tonko House is building. I had the pleasure of viewing this past Feburary and purchased it on iTunes as soon as it became available the same week. The fact that the story is mostly in pantomime, one is forced to engage with the narrative from one's own experience. The films directors Daisuke Tsutsumi and Robert Kondo, both former Pixar art directors and highly respected in the field of animation, together they deliver what I hope is just the beginning of the studios charm. Dealing with topics raging from commitment, to individuality, the environment and friendship; there's a perfect balance of message and wonder. “The Dam Keeper” has been screened at more than 75 festivals and won numerous honors, including prizes at the New York International Children’s Film Festival, Anima Mundi in Brazil and the Chicago International Children’s Film Festival. The film begins a theatrical run on Jan. 30 as part of a program of Oscar-nominated shorts. Here I've included a video on The Making of The Dam Keeper for your enjoyment, they also have a Youtube channel if you would like to go further into the worm hole. As a side note, this coming Saturday March 14 the ACM SIGGRAPH Berkeley chapter and CCA, my college, will be holding a screening of the film, along with a Q&A session afterwards from 4PM to 5:30PM. I'm sure I'll be updating this post come Sunday. I was able to get a behind the scene look at the process of making the Oscar-Nominated The Dam Keeper, thanks in part to the producer of the film Megan Bartel (pictured above with me), who's excellent presentation on the ups and downs that the production faced and Q&A after the screening. Also the filmmakers have a deal for a set of graphic novels to be developed based on the short film. According to Terry Flores of Variety Tonko House, has sold the world rights to First Second, a Macmillan imprint, for two graphic novels based on the tale of a bullied pig who keeps environmental disasters at bay with a special windmill and his new friends. The filmmakers have also announced plans to develop a feature film that expands The Dam Keeper universe as well. 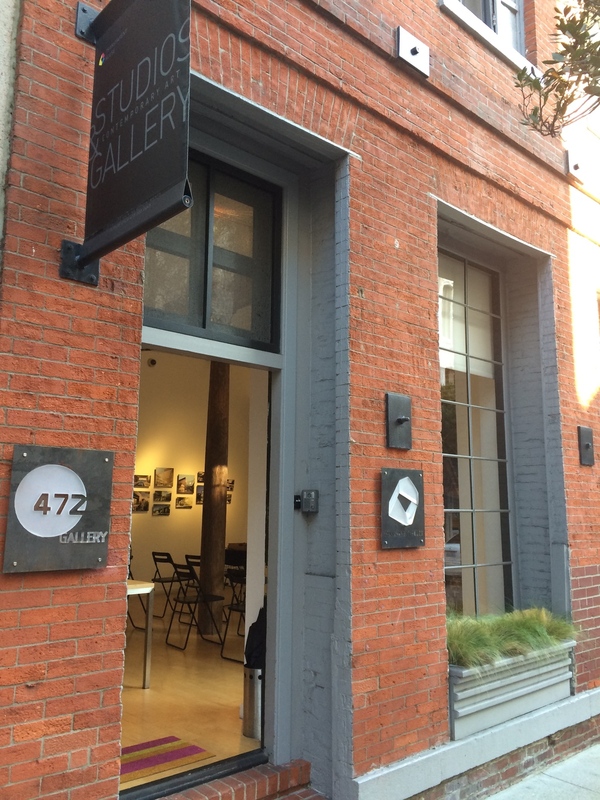 Thanks again to Megan at Tonko House, Juan and the whole team over at the Berkeley SIGGRAPH chapter, and CCA for helping in putting on this second collaborative event together. Looks like "the Lasseter Theory" has righted the ship. It's truly amazing how he's been able to plus the system at the Walt Disney Animation Studio. Nothing but great work all around! Here's a great write up on the film from Susan Wloszczyna on www.rogerebert.com. As a bonus here is my first attempt at podcasting. 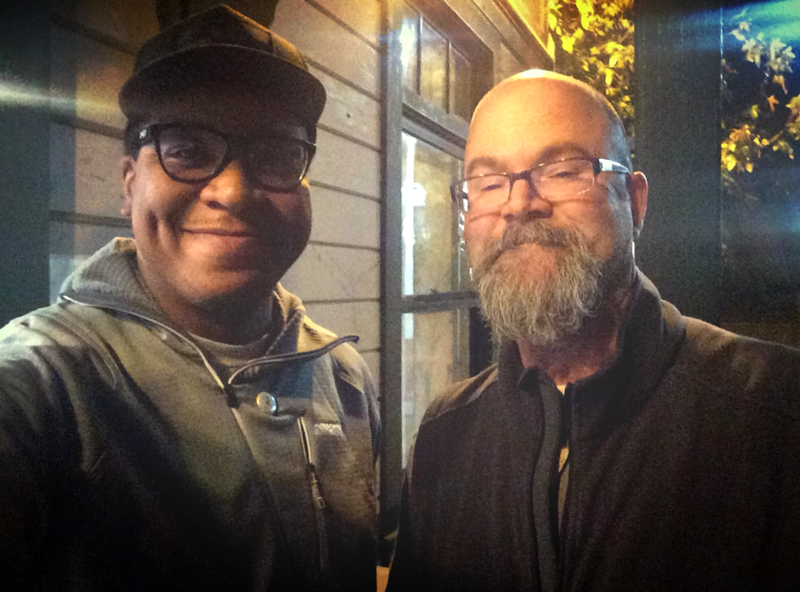 I was fortunate enough to meet Zack Parrish, Head of Animation on Big Hero 6, during my first week here in San Francisco. He was kind enough to talk about issues concerning the student process and its application on entering the workforce at Walt Disney Animation. Enjoy. Yes, I'm about a month behind with this news but, school has been winning in a lot of areas of my life. So let's get back into the swing of things! With the huge win and sweep of the category at the 87th. Academy Awards, Disney’s Animation Studio grabbed both Best Animated Feature and Animated Short; proof that under the leadership of John Lasseter, Disney has returned home. This post focuses on Disney's Animated Short Feast, which depicts a relationship between a voracious puppy named Winston and the young man who feeds him, has won the Academy Award for animated short film. The film, which won an Annie Award earlier this year, played before showings of Disney’s feature Big Hero 6. Click on the image below to view Osborne's first in-house experimental project at Disney Animation called Pet. The award goes to first-time nominees Patrick Osborne, who directed, and producer Kristina Reed, who also co-produced Big Hero 6 and worked on Frozen and Wreck-It Ralph, among other Disney productions. Feast was Osborne’s directorial debut; he served as animation supervisor on Disney’s “Paperman,” which was nominated for an Academy Award in the same category last year, and was an animator on Wreck-It Ralph, Tangled and Bolt. Feast was the first idea to be greenlighted under a new short-film program for Disney Animation employees. “I thought, 'Wouldn't it be cool if we saw a puppy go through from being a young dog to grown up below the table as part of the family and enjoying these meals together?'" Osborne told The Times in an article published last week. Bite by bite, the tale chronicles the young man’s love life as seen through the eyes of his Boston terrier. Feast beat out four other animated shorts for the Oscar win, including The Bigger Picture, which follows two brothers struggling to care for their elderly mother; The Dam Keeper, about a little pig that operates a windmill that protects a town from poisonous clouds; Me and My Moulton, about a sensitive girl who wants a bicycle from her unconventional parents; and A Single Life, which follows a woman who travels in time using a mysterious vinyl record. This evening I meet Pixar's Jerome Ranft during a run to the recycling bin outside my Drawing for Animation class, given by John Hays. I'm starting to get accustom of randomly seen many of the Pixarians floating in and out of the campus, so seeing Jerome was no different until I said hello. I guess from the tone of my voice, I may have come across as if we had been introduced before. When he returned with "Have, we meet before? ", I quickly remembered how rare it must be for most of the Pixarians who work behind the scenes, to be noticed in public. Here's a quick bio on Jerome Ranft from the team over at Pixar Wiki. as well as an amazing inside look into Pixar with Jerome, thanks to Make Magazine. Jerome's process is covered at the 37:14 mark of the video. Discovered this video while doing research for my animation workshop class "Unchained Reactions" with Gibby and Barney. My first week of living in the Bay has been a great incentive for attending school here at CCA for my undergrad studies. 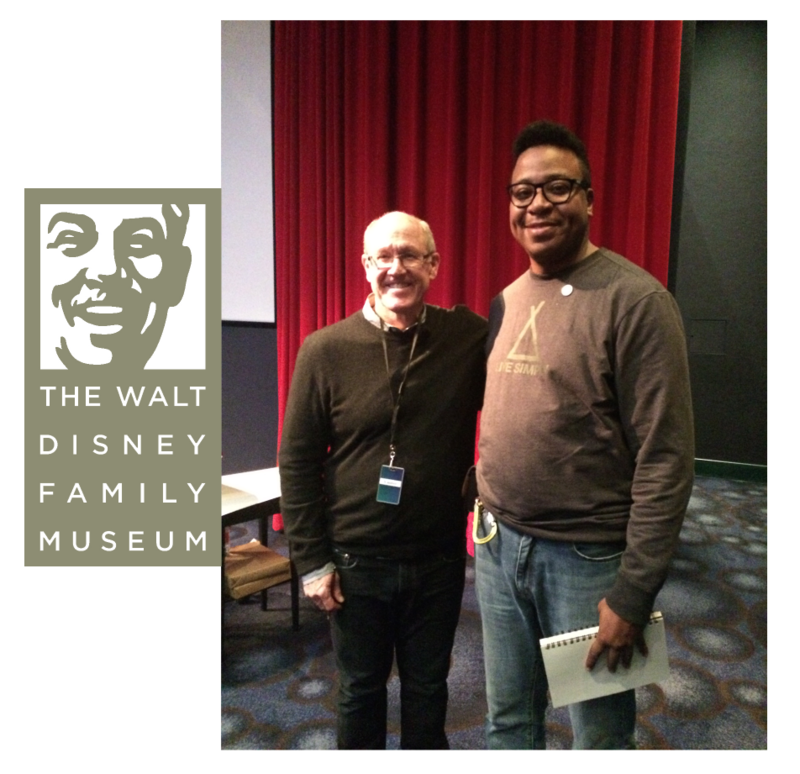 On top of meeting Zack Parrish earlier this morning, I had the pleasure of meeting the legendary Disney animator Glen Keane at the Walt Disney Family Museum. He was there giving a lecture on his short animated Duet. Even though I wasn't able to record any footage or audio from the event, I was able to find the talk that he gave at Google, while Glen was working on his short Duet. What a privilege it was to sit for 2+ hours and hear Glen's approach to rendering a film that's taking full advantage of the possibilities of where animation can venture to; if given to a talented artist and the opportunity. Talking with Glen I just explained how I had been drawn back to his talents shortly after viewing Walt Disney's 37th. feature film Tarzan, which came out in the summer of 1999. I went on and on about the feeling of movement, as well as the way in which the foreground and background matched the character stylization. He agreed, and we continued to talk about what I wanted to gain from his lecture? Just put I said, "I want to get a better understanding of staging and timing in my animation..." He replied "you have to be sincere in every element of your approach. Not only what you're drawing but what you're seeing, feeling..."
He spent about three minutes with me talking about, the does and do not's when starting off in the industry, how to accept the challenges of my instructor by understanding they are my directors. He autographed a piece of my sketchbook with the saying "Animate with Sincerity"; before giving the pencil he had used throughout the lecture. So, I'm saving the Prismacolor Ebony for something special, advice that Ollie Johnson speaks of in the documentary Frank and Ollie. The film Duet is a breathtaking exploration of the reaches of art and technology, presented in an interactive environment presented to the world by Google. Variety's Terry Flores interview with Glen is the best layman's summary I've come across. Thanks to the Walt Disney Family Museum in connection with the San Francisco Film Society for presenting this event to the public. Please continue to provide us with thought provoking events centered on expanding the vision that Walt Disney had for the medium. Glen also visited a local elementary school as part of the SF Film Society Education "Filmmakers in the Classroom" series, at some point this month. I'm sure it was an amazing Q&A session that followed. More on that event can be found on their blog SF Film Society Blog. Since 2004 I've been an avid follower of anything PIXAR related, from the Art of books to toys, and even stamps. For a time anything revealing PIXAR news related was either from traditional news sites in general or Cartoon Brew. I remember doing a search on iTunes' podcast site for a more in-depth conversation on the studio as a whole when I ran across Derek Clements' Pixar Podcast. I had already been listening to Andrew Gordon's Spline Cast, which is still a treasure to anyone looking for an animators approach to animation. However, the Pixar Podcast seemed like a weekly get together with an old friend. Clements' who recorded the show from his dorm room at BYU, which I aim to do at CCA while I work my way through the animation program. I don't recall how I discovered the Derek Clements' Pixar Podcast, but since finding it, I came to rely on the weekly episodes as if it was movie night with the family. It saddened me when the podcast went silent last year, and I thought to myself why it does have to stop, why can't I do one with my take on educating animation students. So, I'm pleased to announce that this January will be the beginning of the Walt Disney PIXAR Braintrust Blog. Like Mr. Clements, who I owe the inspiration for doing this blog too, I plan on setting out to interview employees. Studio news, explore the impact of Disney and Pixar's films on popular culture and carry the torch forward as I work my way through the animation program at the California College of the Arts. With me being only two miles from the studio in Emeryville and 365 miles from Burbank, what better way to build a working relationship than working on building a relationship. Needless to say, I hope things pan out with me being able to bring the same feeling of enjoyment to other animation students as I felt when hearing the weekly updates on the Pixar Podcast.